It’s pretty clear that I am not the only birder who loves beer. 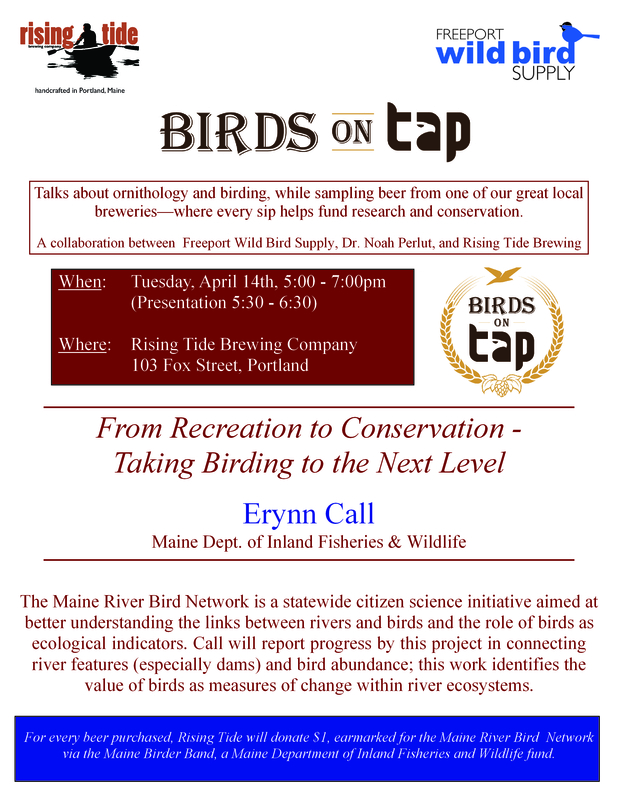 And based on the success of the “Birds, Books, and Beers” series at Maine Beer Company, the first of hopefully many “Birds on Tap!” lectures at Rising Tide Brewing, and the fact that many of my tours finish the day at a brewery (e.g. Monhegan Brewing), I was looking for a way to build on these events. 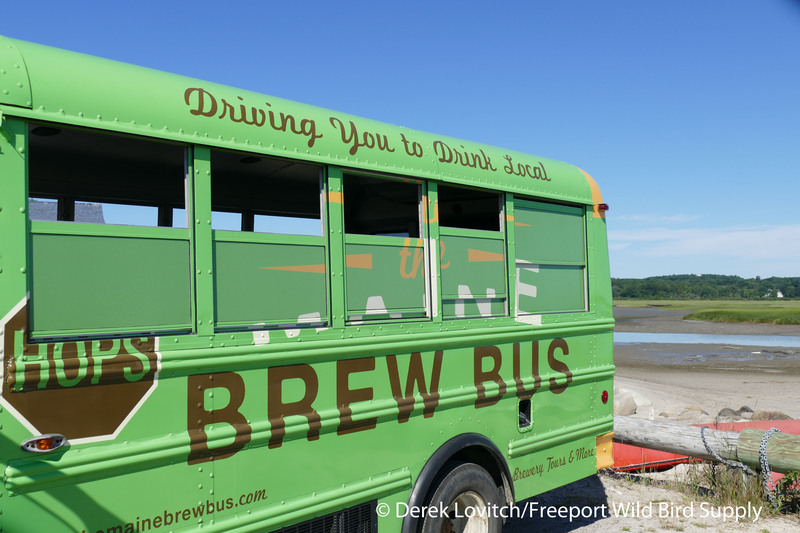 Enter the “Birds on Tap – Roadtrip!” series with our friends at the Maine Brew Bus. And the first of what we hope will be a regular schedule of unique birding and beer-ing outings took place on Sunday. 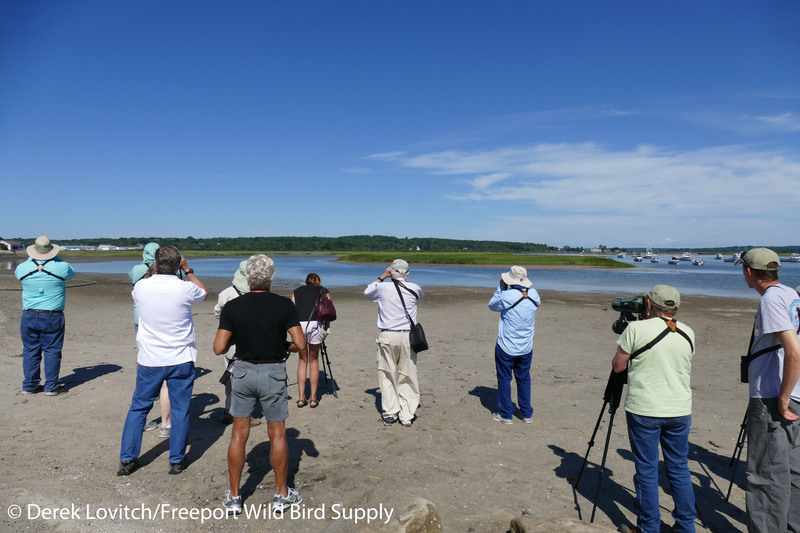 Combining three hours of birding with visits to two of our great local breweries, we strive to showcase some of Maine’s best birding, and best craft brewers. 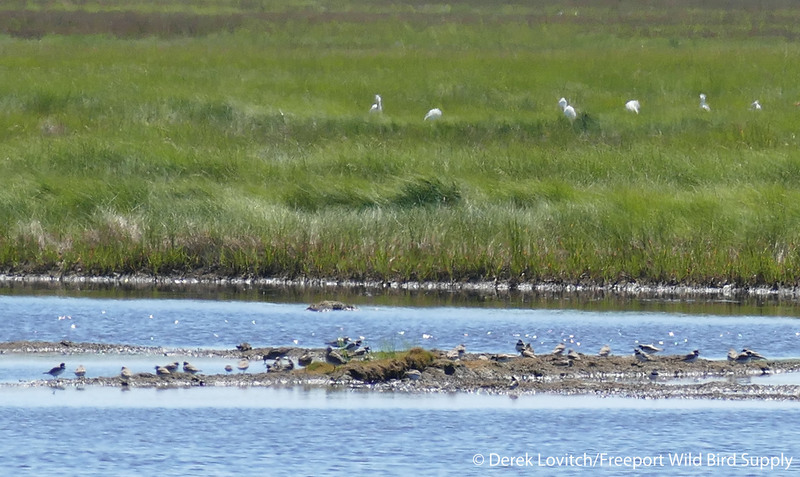 Beginning in August, there’s no better place to bird in southern Maine than Scarborough Marsh. After two convenient pick-ups, one at the store and one in Portland, it was down the marsh, starting at Pine Point on the incoming tide. Common Terns were feeding in the channel, and we took a moment to check out the truly beautiful turquoise eye of a nearby Double-crested Cormorant. Out on the mudflats, 150+ Semipalmated Plovers were joined by at least 75 Semipalmated Sandpipers, 30 or so Short-billed Dowitchers, 15 “Eastern” Willets, and a few Black-bellied Plovers. As the ride rolled in, many of these birds flew closer, landing on the last strip of mud and sand right in front of us, offering detailed study of plumage details to complement the “general impression of size and shape” methodology of identifying birds afar. Some birds, like this Semipalmated Plover, were incredibly close and offered great studies of plumage detail. Our next stop, with the tide approaching high, was the Eastern Road Trail. The wide, raised trail crossing the marsh provided convenient access and easy viewing of the many hundreds of shorebirds out in the salt pannes. 300+ Semipalmated Sandpipers, 100-150 Semipalmated Plovers, 100+ Short-billed Dowitchers, 50+ Least Sandpipers, 20+ Greater and 6 Lesser Yellowlegs, 2 “Eastern” Willets, 2 White-rumped Sandpipers, and a single Spotted Sandpiper. Joining the shorebirds in the pannes were a variety of wading birds, with 40+ Snowy and 25 Great Egrets, 8 Glossy Ibis, 4 Great Blue Herons, 3 Little Blue Herons, and “Patches:” the ultra-rare Tricolored Heron x Snowy Egret hybrid that has been frequenting the marsh for at least three summers now. There were a lot of birds in the pannes today, with shorebirds covering all of the exposed mud and wading birds standing guard at the edges. Several singing Nelson’s Sparrows, including a couple of birds that offered unusually prolonged scope-views, a soaring Bald Eagle, and a hunting Northern Harrier added to the diversity of the day. As we enjoyed some scrumptious vegetable hand-pies, Josh took over the show, and escorted us down to Saco’s Barreled Souls. 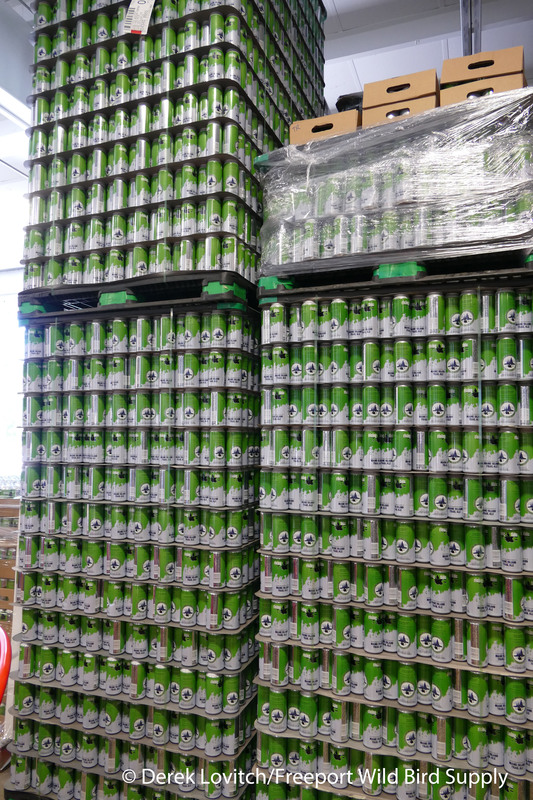 While several birders got a life bird or two today, everyone in the group had their “life beers” from Barreled Souls. 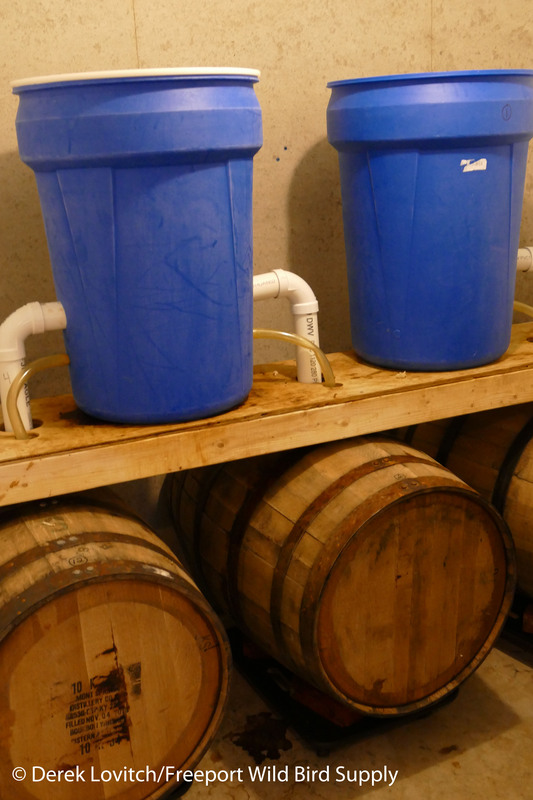 All of Barreled Souls’ beers are fermented in oak barrels using a version of the Burton Union system, a method developed in England in the 1800’s. Unique ingredients coupled with this system that offer subtle flavor additions and changes to the beer, provides a healthy growing environment for the yeast that does the dirty work of making the sugar into alcohol, and allows for the capture the healthiest yeast crops for the next batch of brew. We received a tour of the facility, before being invited in the cozy tasting room. All the while, four unique and very flavorful beers, all very different in taste and body, were sampled, including Half-Nelson, an IPA with 100% Nelson Sauvin hops and Space Gose, a tart German style beer with coriander, Maine sea salt, and lemon zest. Mixing things up a bit, the fruity Eat a Peach and the finale, the malty and nutty – and potent – Quaker State Heavyweight. Conversations about birds during the first half of the tour rapidly turned to conversations about beer, often spurred on by discussions about the samples, and several people remarked how these beers were outside of their usual comfort zone, broadening their horizons and challenging their pallets. One could say there is a parallel to our discussions about the finer point of “peep” identification while out in the marsh! It seemed most appropriate that our second brewery of the tour would be Rising Tide Brewing in Portland – our partner in the Birds on Tap! lecture series. Refreshing Daymark, a clean and classic APA; Ishmael, the rich and malty American copper ale; Zephyr, Rising Tide’s hoppy but incredibly well-balanced IPA; and of course, the venerable Maine Island Trail Ale the citrusy, hoppy, and summertime-perfect American Ale that is one of the favorite beers of many a Maine beer drinker, myself included. 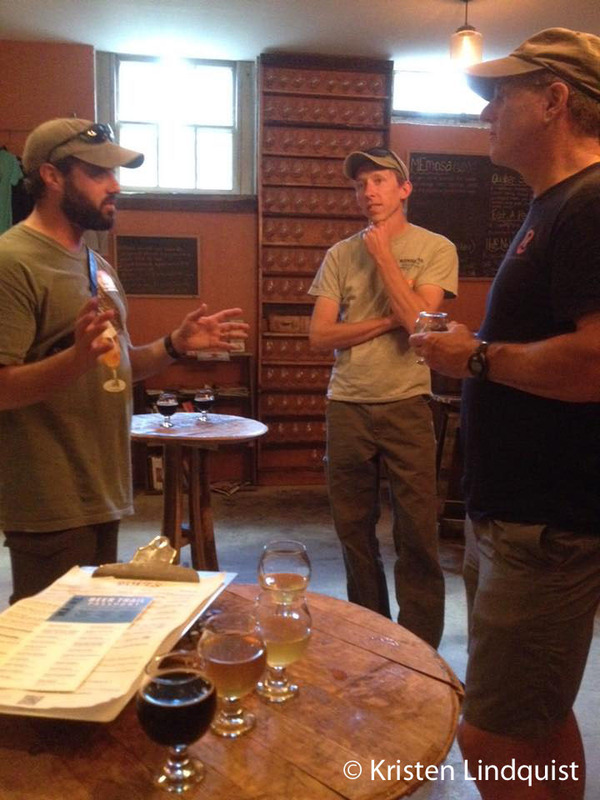 While many of the Maine residents in the group – we also had guests from Kansas and folks who share Maine with another home state – were more familiar with the offerings of this favorite brewery, Alex did a great job explaining the philosophy of the brewery and the methods they use to produce so many quality, unique, – and in many cases, exceedingly approachable – brews. 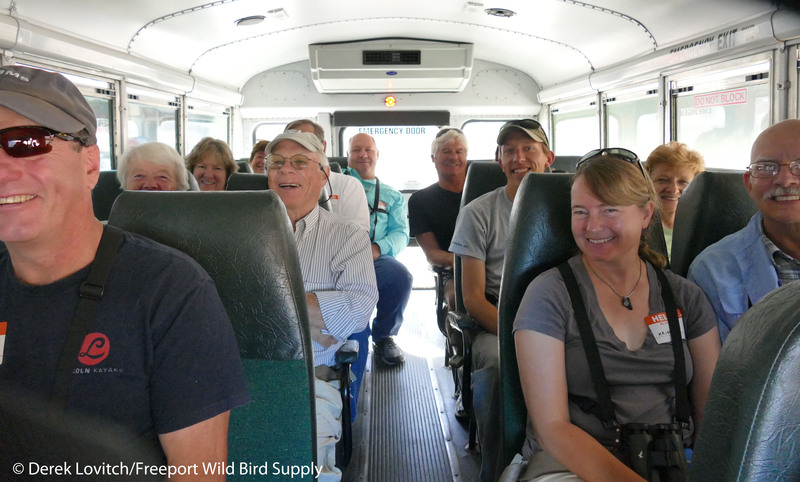 As we wrapped things up and Josh transported us back to our respective drop-offs, the bus was filled with chatter about birds, beers, and more than one question for when the next Birds on Tap – Roadtrip! 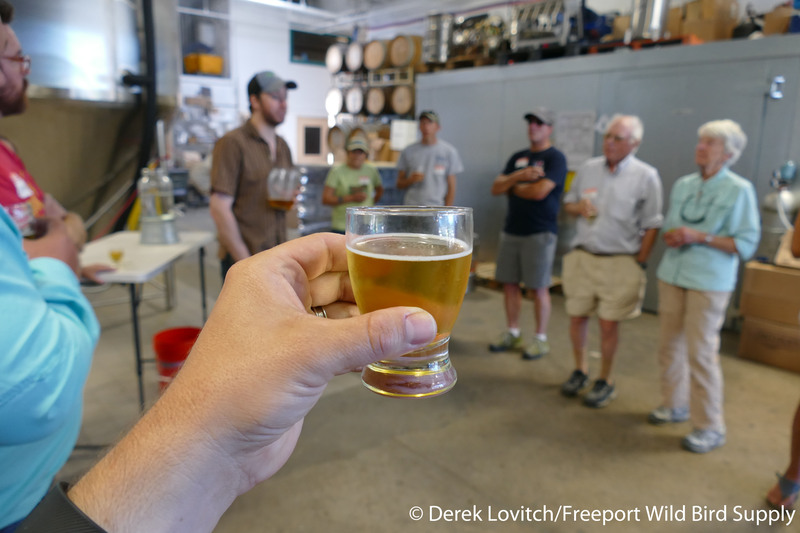 from Freeport Wild Bird Supply and the Maine Brew Bus will be taking place…stay tuned! 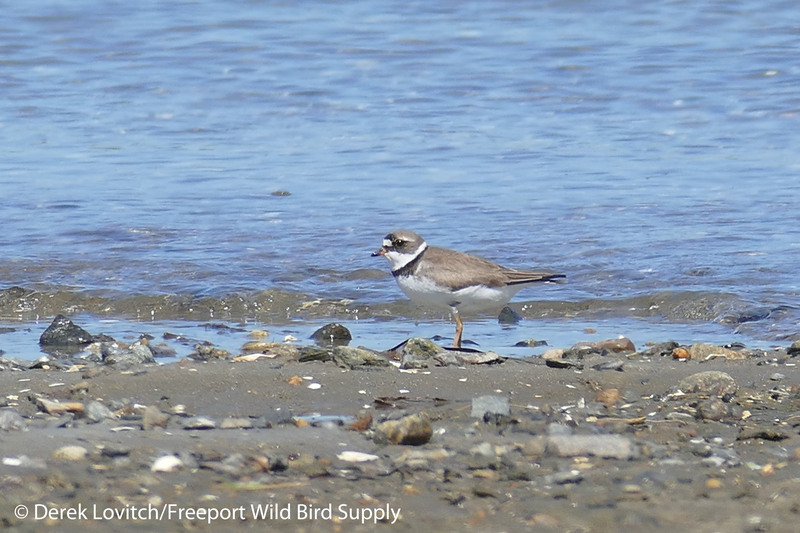 This entry was posted in Birding in Maine, Events, Private Guiding and Tours and tagged "Birds, Barreled Souls, Birding, Birds on Tap, Birds on Tap - Roadtrip!, events, Freeport Wild Bird Supply, Maine, Maine Brew Bus, Rising Tide Brewing, Semipalmated Plover, shorebirds, Tours, trips on August 5, 2015 by Derek.